There was an old post with NK Next..or something like that. Could be IRAN Nuke Deal. Or IRAN De-Nuclearization. Or IRAN Attack. The Nuke Deal is due for a thumbs-up or thumbs-down from the USA soon. Looks like that may be the fault of Q. Who seems to be following a deep state agenda. BUT, this company would make sense as a deep state target and they definitely have a facility in Homs. Still digging. Yes it may make sense. But why has this not been bombed by the Russians..
Then suddenly during PG she took down all her YT vids and had 1 vid of her up. The vid was her explaining she had to stop all this for personal reasons..
A lot of us following this thought she had been threatened and told to shut up.. Yet look at her now with the Q phenomena. She's been glamorized and celebritized and is allowed to post about all sorts of things. She was never into make up or sexing herself up - even her style of clothing has completely changed - I find it interesting how much her online persona has changed - now she meets The Donald too? Before she was into sharing info and trying to help get the truth out, now shes trying to climb the ladder? Doesn't add up to me..
Hmmm... I think TB has been got by the Clowns. I don't trust her for info anymore. There was a great flurry of talk on the chans many thinking the same. Too suspicious... Obviously I could be wrong and hope I am. She used to be cool..
Just came across this theory and do not entrily rule it out. Time will tell. We will know it by its fruits! We cannot know until the fruits fall. Lets see where they fall and then we will know for sure. May I ask what makes you say that Trump isn't working with Assad? How do you know - what info do you know of that makes you say this? 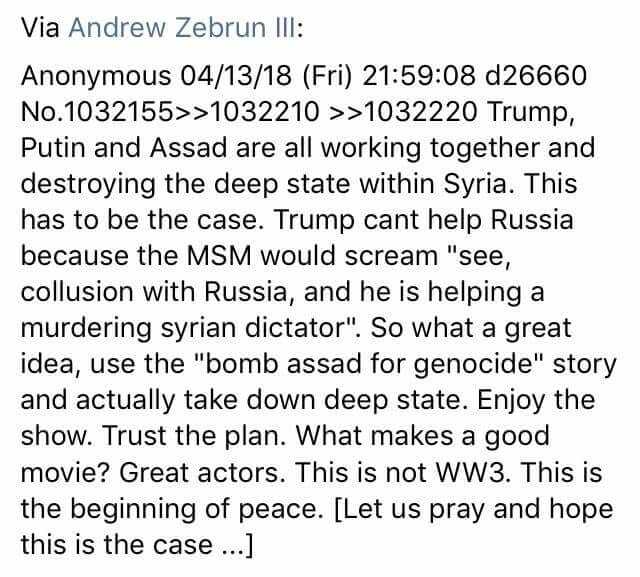 Trump could be working with Assad - we don't/can't know. Not from our PoV. 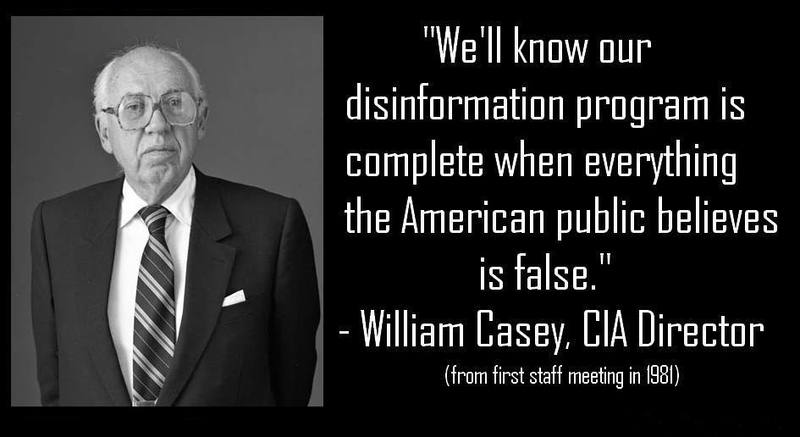 We don't have the info available to us to discern that. When/how will know? Time and global events and what happens to We the Peoples will tell us..